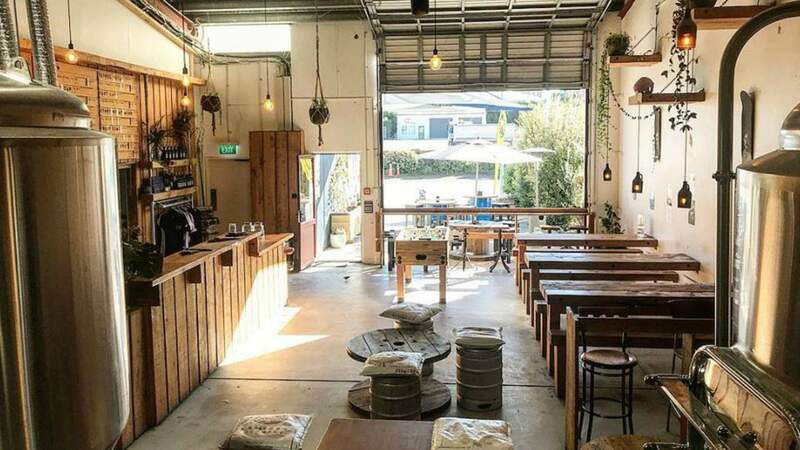 Sample local beers, play giant Jenga and even realign with a Sunday morning yoga class at this brewery and bar in Wanaka. Everyone loves a good story. Head brewer Jess had been brewing off and on in Australia for seven years but dreamed of opening her own brewery and bar. And in June 2017, this dream came true. Along with her partner in life and business, Simon, who invented a small-batch bottling machine, she settled in Wanaka and opened Rhyme and Reason. Open every day from 12pm, head in to sample beers from the ten taps, tasting paddles, cheese boards and eats from the various food truck events. And while you're there, pick up a game of giant Jenga or foosball, or work on your downward dog with a Sunday morning community yoga class.